From the intercom not functioning correctly, to the rewiring that is needed on the extension, Maytek Electrical Contracting are your specialists when it comes to electrical work. 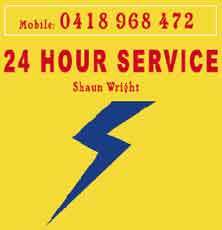 Those situated in the Northern Beaches that require an electrician will receive an unprecedented amount of support and care. 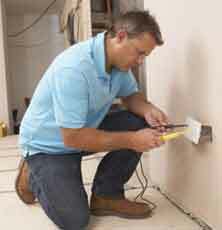 Installations, repairs and everything in between, nothing is unachievable for our team of professionals. Regularly checking our equipment, rest assure that we take the maximum amount of care at all times, all tools and materials are checked, as following guidelines is essential in our quest for an impeccable service. For those who have issues that must be resolved promptly, our 24/7 emergency care enables everyone to receive immediate assistance when required. 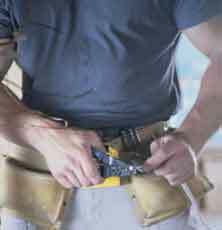 At Maytek Electrical Contracting Northern Beaches, we strongly suggest you never let someone unfamiliar with electrical work to investigate any issues that may be occurring. Communicating with our clients is key in achieving the most optimum results; as we’re able to complete the job proactively if we understand the dilemma. We’re upfront with all clients, and once the situation has been assessed, we’ll then give you a price. At Maytek Electrical Contracting Northern Beaches, we’re able to assist with both residential and commercial industries. We understand how frustrating a loss of power can be, however rest assure that you can rely on us to get the job done promptly. If you’re interested in the installation of LED lights to decrease your electricity bills, you can guarantee that our diligence, along with the resources we have will ensure the perfect result is achieved. To talk about our electrical issues in more depth, call Maytek Electrical Contracting Northern Beaches now on 0418 968 472. Or, fill out the online form below and one of our experts will respond promptly. Northern Beaches is a region that is known for its enviable lifestyle and beautiful beaches. Beachside cafes surround the area, while a number of walking trails offer spectacular views of the water.